There are numerous reasons why a computer system slows down or freezes frequently. The fact that a computer becomes more sluggish as it ages and only a new computer system is the cure; there are also reasons why it becomes slow. These crashes are sometimes caused by temporary files building up in the system. Temporary files are usually leftover files created by any applications during installation; these are also files and documents created by the windows system. Usually, it is a backup file created by any programs or applications that handles large files such as video or image editing programs and word processing programs. Normally, a temporary file contains .tmp file extension. As these temporary files grow large and take enough memory space, sometimes takes up to 1 GB, it affects the performance of the computer speed. Deleting these files can help enhance the speed of the computer system. There are many ways and procedures in deleting temporary files. Temporary files can be deleted manually or by any software created to fix this kind of problem. Using these procedures are both safe. However, doing the manual stuff will not cost you anything at all. Manually deleting temporary files is easy and can be handled by any novice computer users. There are many ways in deleting these files manually. Click on Start, and then go to My Computer. Select and open the Drive C or (C:\), and then open the Windows folder by double clicking it. Choose the temporary file intended to delete by highlighting it then press delete key. If all files are intended to be deleted, go to Edit menu and click select all, after that press delete key. After deleting temporary files, close the window and go to Desktop. Select Recycle Bin and then click empty recycle bin. Close all opened programs then click on Start. Select and double-click My Computer, and then right-click any hard drive intended to clean such as the C:\ or D:\ then select properties. Select the files intended to delete then click OK. A confirmation box will appear and just click Delete Files. Users can also do these other simple steps. To open Disk Cleanup, click Start. Point to All Programs, point to Accessories, point to System Tools, and then click Disk Cleanup. Select the Drive intended to clean and then click OK.
Close all programs then go to Start, and then select Run. On the open box, type in %temp%, then click OK. A window will appear containing temporary files. Select the file intended to delete by highlighting or select all by clicking Edit menu and click Select All. After all files are highlighted, press Delete key. A confirmation box will appear and just click Delete All. Empty the Recycle Bin after the process to permanently delete all the temporary files. Though temporary files are different from temporary internet files, these may also cause sluggish system and slow internet connection. So it is recommended to clear all cookies, cache, and temporary internet files for faster performance. Below are the steps in deleting temporary internet files. Using the Internet Explorer: Open Internet Explorer, click on Tools menu and select Internet Options. A window will appear and in the General Tab, click on Delete cookies and Delete Files then click OK. Using the Mozilla Firefox: Open Mozilla Firefox, click on Tools Menu and select Delete Browsing/Recent History. A box will appear and click all the check box and then click Clear Now. These simple steps are very easy to follow and understand. Doing the procedures will not just help the computer becomes fast, but as well as the computer user himself. However, mostly PC users don’t want any complication at all on doing these simple steps and are afraid of doing any mistakes. That is why a lot prefers to use a third party tool to fix the problem automatically. 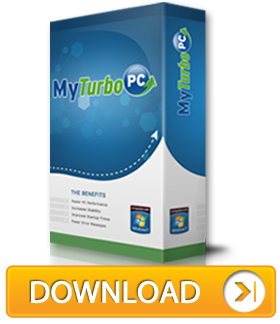 This is how MyTurboPC helps. The software can fix the problem itself automatically, not just by deleting temporary files, but by repairing all the errors in the system. This entry was posted in Windows Tips & Tricks. Bookmark the permalink.